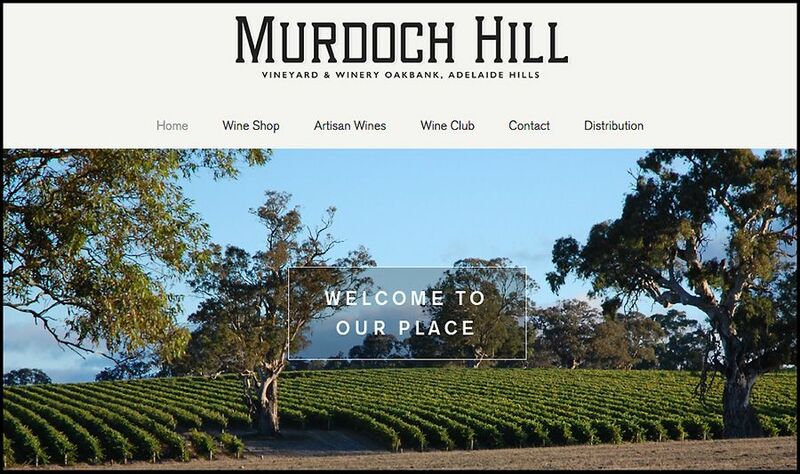 At the recent ‘Young Gun of Wine’ Awards, Michael Downer from the Adelaide Hills winery ‘Murdoch Hill’ was awarded The “Ocean Eight” Winemaker’s Choice. ‘Riedel Young Gun of Wine’ winner Josephine Perry of Dormilona Wines at the ceremony. Photo © James Morgan. The winemaker’s choice is selected by all the finalists. Being selected by your peers is probably the most sought after honour in any industry – Michael tied for the same award last year. 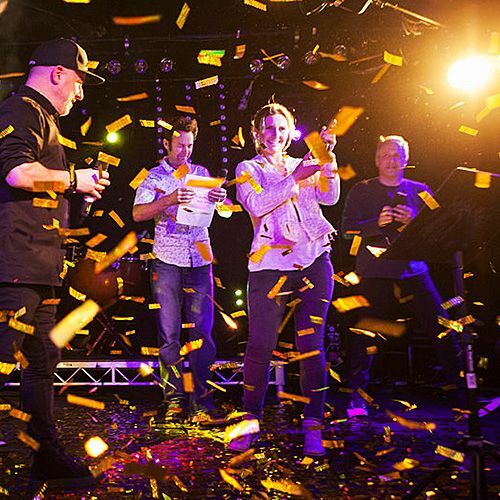 The mission of these awards as stated on the web site, is to pull together an inspired group of younger Australian winemakers that are forging ahead at speed within the greater ranks in order to inspire them and others to greatness. These guys and girls are singled out for their leadership, their vision, their talent and their influence on the cutting edge of the industry, an influence that has steadily grown each year, along with the challenge of thrashing out the list of finalists and selecting the eventual winner. The awards were started in 2007. Past winners read like a who’s who of the most talented young Australian wine makers. 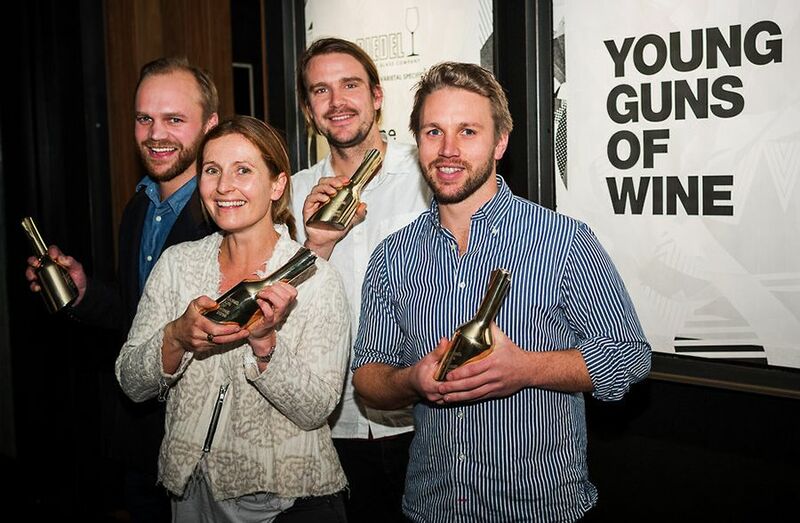 Young Guns of Wine awards winners. 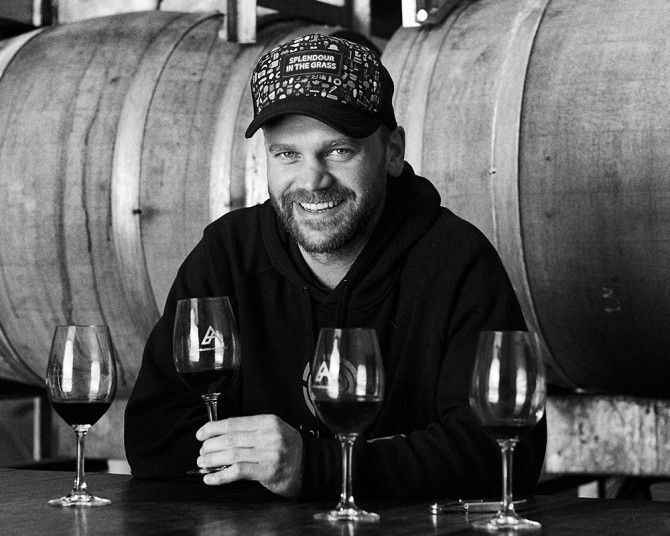 You were just selected as the Young Guns of Wine Winemakers’ choice for the second year in a row, how was that ? 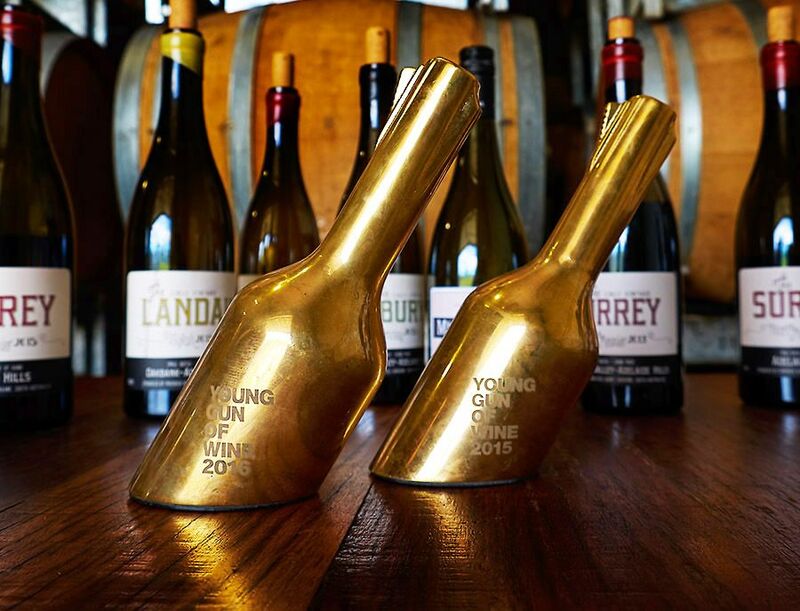 Young Guns of wine award winners for 2016. L-R Michael Downer, Josephine Perry, Jasper Button and Ricky Evans. Photo © James Morgan. It’s quite funny actually, last year I tied with fellow winemaker and good mate Steve Crawford from Fredrick Stevenson Wines in the Barossa Valley. We studied together and travelled together in Italy, it was quite fitting that we tied in 2015, and it was a huge honour to be involved again. Steve was away overseas, so he wasn’t around and I didn’t think I had any chance of winning again this year. It was a real honour to be selected by my peers again. What are these awards about ? This is the 10th year for the awards. Rory Kent started it with Nick Stock, it is basically to recognise younger producers who are on their own. 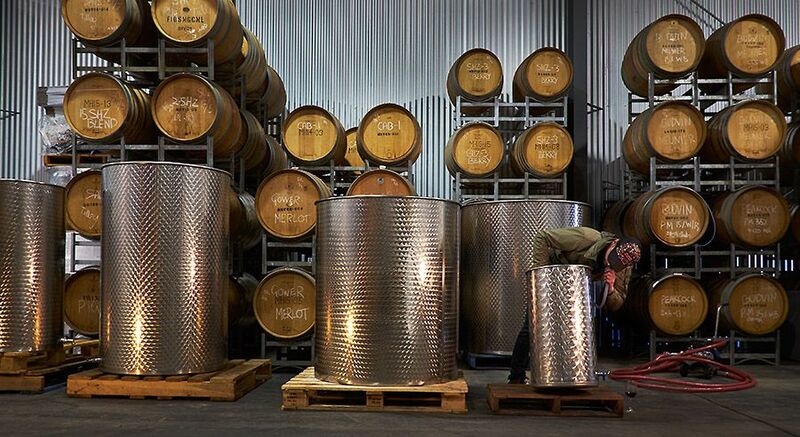 It’s not necessarily about the best upcoming winery, winemaker or the bigger companies. It’s more about showcasing small producers who are on their own trying to express different styles of wine and really push the boundaries a little bit more. It’s a great award for me and it represents what I am trying to do. We have very good support from the industry. Wine Australia came on board this year as well as Riedel and Gourmet Traveler Wine magazine. Prince Wine store in Melbourne have also been very supportive, they have a huge recognition across the country for showcasing some amazing wines from here and around the world. 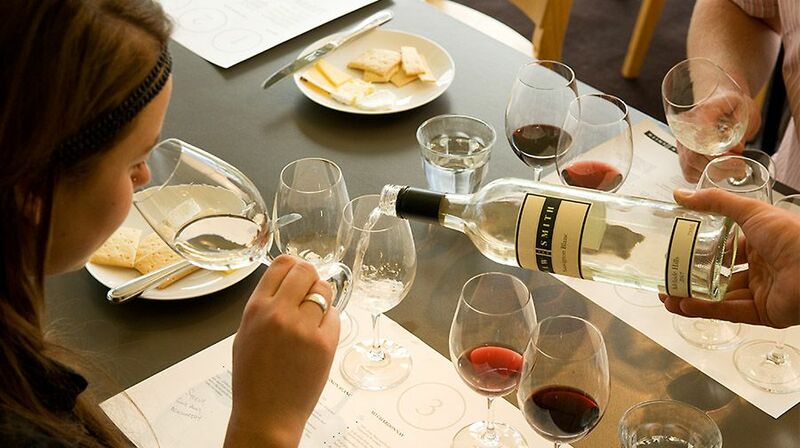 In Sydney we jumped on board with Nomad Wine store and restaurant and collaborated with them for a tasting . Overall it’s been incredible exposure through the trade events. The criteria for the selection of the People’s choice award, is the amount of wine that is sold at these two events. To be involved with both of them is huge. This year the awards were in Melbourne. There were twelve finalists . Seems a very supportive group, what’s the journey been like ? We all become good friends, we support each other. It’s good to catch up with a few friends from around the country… to taste and see what other like minded people are doing around the county rather than just push your own styles. It’s also important to find what people who buy your wine are looking for and the trade events really help with that. I have heard that next year there are plans to extend the trade events to other venues which would be a very good thing. Young Gun of Wine intro page says. ‘The thing about emerging wine producers is they are a source of innovation, inspiration and new ideas’ : how do you fit in with that ? That’s absolutely what I’m trying to do since I returned here in 2012. Charlie and my mum Julie founded Murdoch Hill in 1998. All the wines in the early days were made at contract facilities. We’ve been going ever since then. When I returned home I had ideas and visions for the brand. I saw a little space in the corner of Dad’s big shed, just a little space enough to get a few ferments going. I seemed to have taken over and now Dad reckons he needs bigger shed. As soon as you bring production back to an environment like this and are able to focus on small batches, you get a huge shift in style and quality. I’ve been able to isolate pockets in vineyards and treat them singularly, we can now keep them separate the whole way through. One of the first things I did when I came home, was stopped taking chardonnay from our vineyard, and started sourcing fruit from the higher parts of the Adelaide Hills at around 500 meters in elevation. In our part of the Hills, near Oakbank, it’s a bit warmer and drier than up higher and I didn’t think it suited chardonnay as well as higher up. 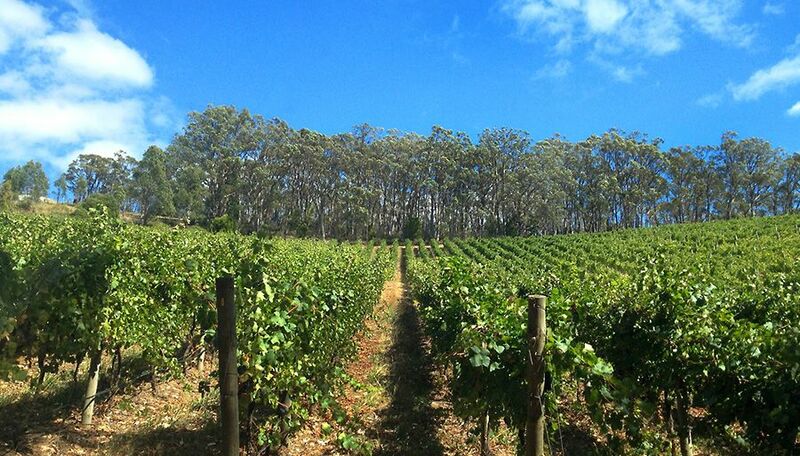 The ‘Phaeton’ Pinot Noir vineyard in the Piccadilly Valley, Uraidla. Photo © Murdoch Hill. I want to introduce some of the Burgundian clones. I also introduced some pinot which we hadn’t done before. Largely our vineyard had focussed on sauvignon blanc, shiraz and a little bit of cabernet. So when I returned we had the core Murdoch Hill range. I wanted to pushed the boundaries and experiment a bit more. 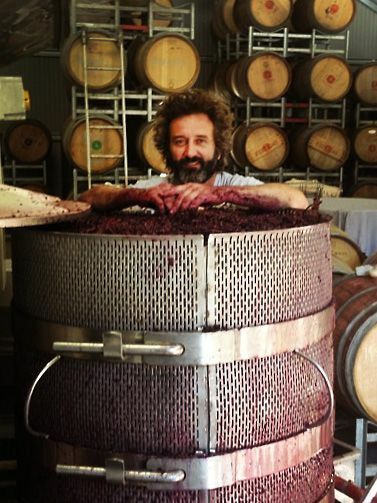 We started being able to do things like hundred percent whole bunch pinot and shiraz, short maturation in old oak. I was trying to capture the fruit and bottle it quite early and fresh. Making an early drinkable style of wine. When I worked at Bests, we tried some of the 1980’s pinot meunier – they were beautiful wines. They have an amazing resource in their old vines. 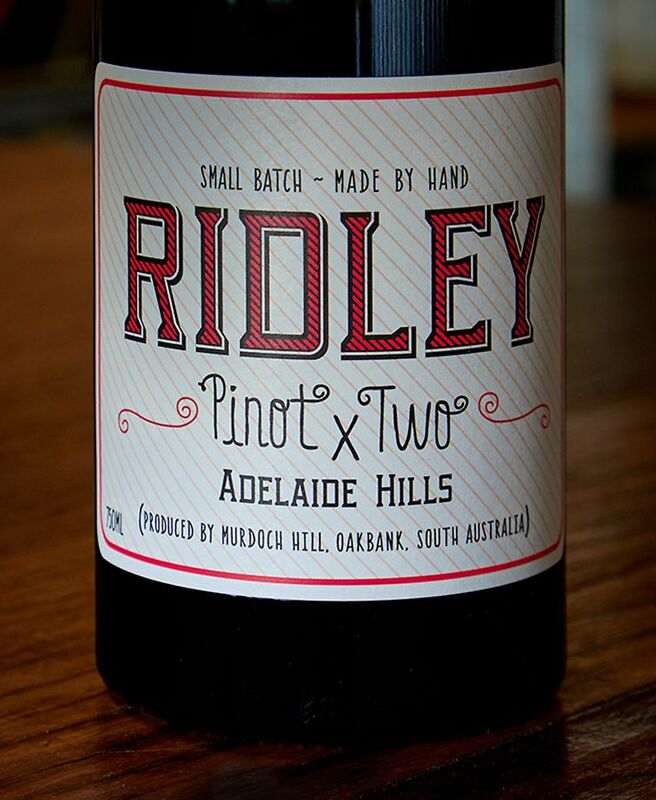 One of my aspirations is to make an Adelaide Hills pinot meunier. I have found some vines that were planted for traditional sparkling wine, at Piccadilly and Oakbank. I made a pinot meunier in 2013 and it’s getting a good following. I talk about drinkability in my wines and I think pinot meunier has a juiciness and softness that make it very consumable. What style wine do you like to make ? I like to make drinkable styles of wine. I guess I have a softer approach so not extracting too much, not throwing in too much oak and focusing on the purity of fruit. So more vibrant red fruited wines softer styles of wine, for early consumption. I also like to make more structured than savoury style wines. Our brand was established on sauvignon blanc, it’s about 15% of our production. 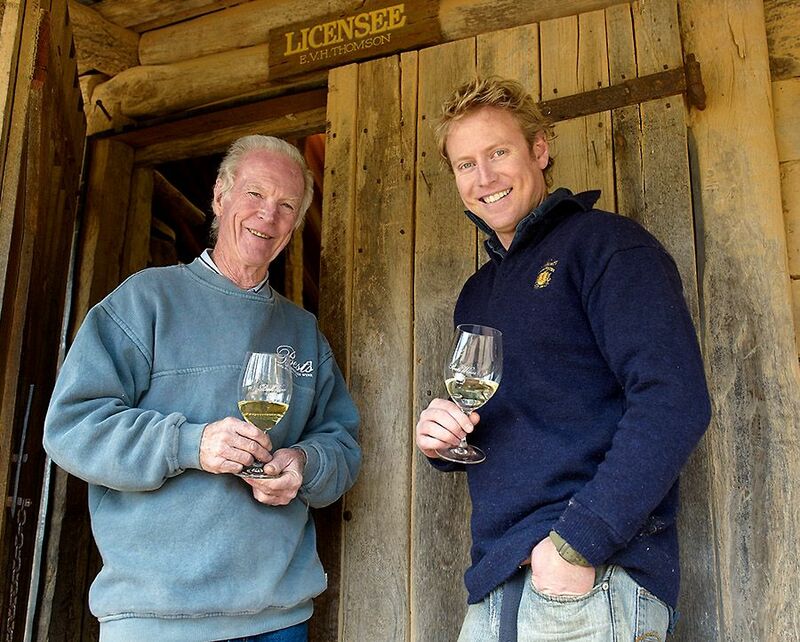 The Adelaide Hills producers some beautiful sauvignon blanc wines. Right now I’m experimenting with sauvignon blanc, 1/3 skin contact, 1/3 barrel ferment and 1/3 tank ferment from selected parcels of fruit. This will go mostly to our customers in Sydney. At school when I was looking for a career path, I always wanted to do something outside, I didn’t want to be stuck in an office all day. I loved the arts and spent as much time as I could in the art studio. I grew up with the vineyard being established. First up I wanted to do viticulture, as I really didn’t have much interest in the cattle and sheep, that is the farming side of the farm. I enrolled at Adelaide Uni. In the first two years of the course the viticulture and oenology ran together. The amazing thing about University of Adelaide program is it brings people from all over the world. I saw all these people so passionate about wine. I caught the wine bug and seeing all that steered me down the winemaking program path. The early lectures in viticulture have been very beneficial because I do enjoy both aspects now. What’s been your career path so far ? After Uni I did a vintage at Cape Mentelle in the Margaret River. Then I was with Shaw and Smith for four years. I guess that was a really good core basis for the winemaking background I have now. It was good to be there for four years, during that time I got a really broad understanding of the whole process. I then took the opportunity to do a bit of a tour of France and Italy. It was incredible…. a real eye opener. I did spend some time working at East End Cellars. That was an amazing opportunity, working with those guys, it really gave me a much better understanding of global wine. We got to try some of the great wines of the world. That led me to one have a good look at those regions. I applied to do a vintage in Italy and did a vintage in Barolo in 2010. Then I worked a vintage at Bests in Great Western in 2011 with Adam Wadewitz. He is now back at Shaw and Smith just up the road. After that I work with Peter Leske at his brand new facility Revenir. Taras from Ochota Barrels was also there at the time, it was incredible to work with him, he was making some amazing artisanal wines. 2012 was a beautiful vintage and a good one to come home for. That vintage I made a tiny amount of Syrah and Pinot, the first release of our artisan series. In 2013 I came back working here full time. Everything has evolved from there. 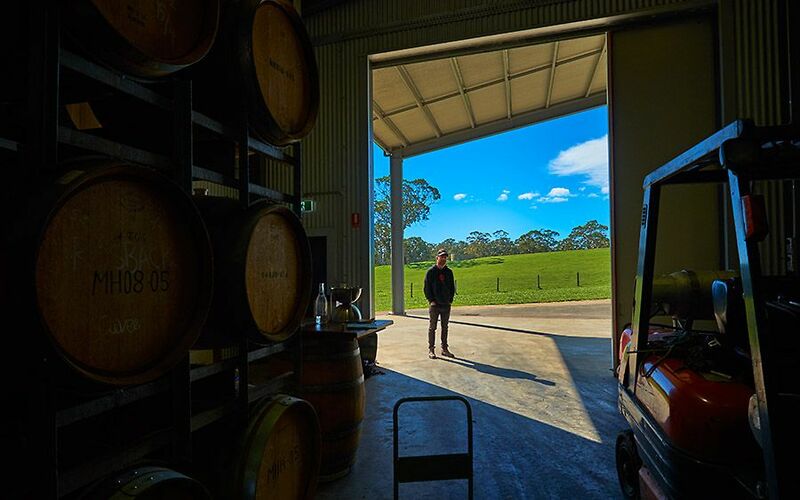 In the first few years I sold all the wine myself in Sydney and Melbourne, I think it’s important to do that, to see what’s being sold in the market – what people are looking for. It was hard sometimes, even a little depressing at times, when you get rejected day in day out. 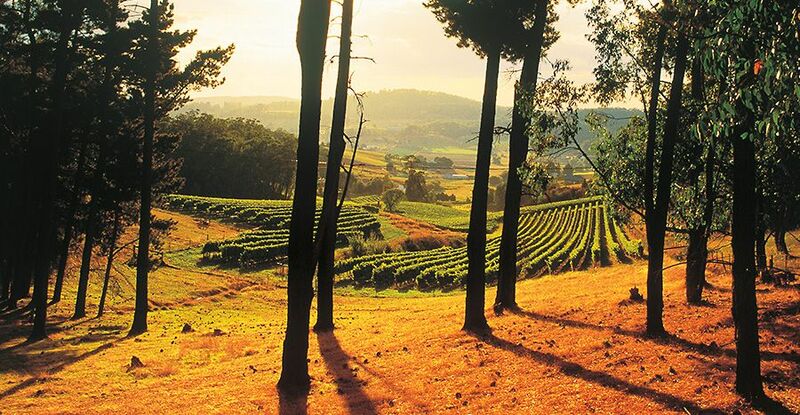 What’s so special about the Adelaide Hills ? Firstly the elevation, our vineyard is about 380 to 420 m – I talked about the chardonnay and pinot coming from the higher reaches, 400 to 550 metres, they say for every hundred metres in elevation you are looking a degree cooler. So up here we are in the range of 2 to 4° cooler in the daytime. Secondly depending on where you are in the hills you get to work with a huge range of different aspects. The steeper parts are near Mt Lofty and Piccadilly, whereas where we are near Oakbank we have more gentle undulations. I think we’re shifting more towards planting on the southerly and eastern aspects; earlier planting was on the northern side. I don’t think the best vineyard sites are being planted yet. Thirdly the Diurnal shifts (temperature shift from lowest to highest), that is the cool breezes that come up from the south, dropping the night time temperature. It’s significantly colder up here in the summer. You can have a 35 degree-day on the plains and it does to 20 degrees at night, up here it’s in the low teens. That helps retain that beautiful acidity and vibrancy of fruit. Finally the soil types are hugely varied in the hills. Australia soils have been very stable for millions of years. The soils in the Hills are very leached and lacking lots of different elements, on the rise of the Hills is lots of rocky shiest in soils, it’s about understanding your vineyard on the block. In our vineyard we have lots of variations. This effects the way we pick, for example the Landau Syrah we pick at three different times due to the changing soil from the top to the bottom. It normally takes two or three weeks. The top of the hill having a lot more shiest, shallow soils that get more sunlight and ripen early, working down the hill to get more rigorous sandy loam over red clay. Before we made our own wine a contract winery would come in and take it all at once. But when I got home and I was sampling, you’d see these huge variations in the fruit on the same block. I also observed this in Europe when you see the difference between the wine in a vineyard just 100 metres up the road. So now I can experiment more and see where it will take me. I grew up in the vineyard and I thought I had an understanding of it, but the more you go along the journey, the more you understand. 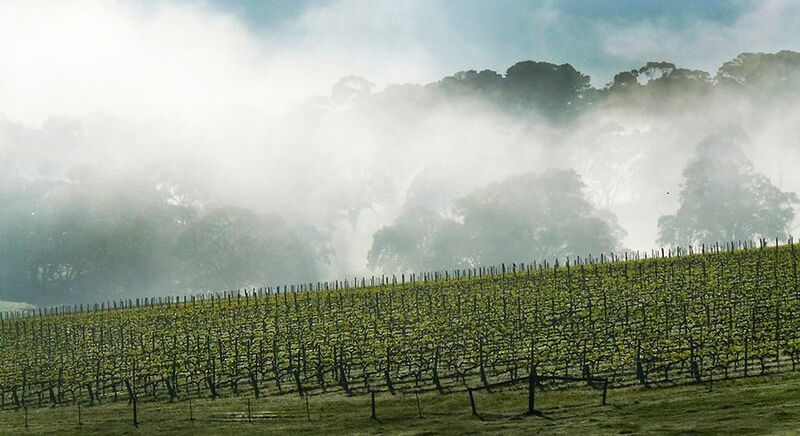 There’s huge variations in the Adelaide Hills, they are 80 km long 30 km wide and stretch from the Barossa one side to McLaren Vale the other. I’d like to explore a little bit more of the sub regions here. 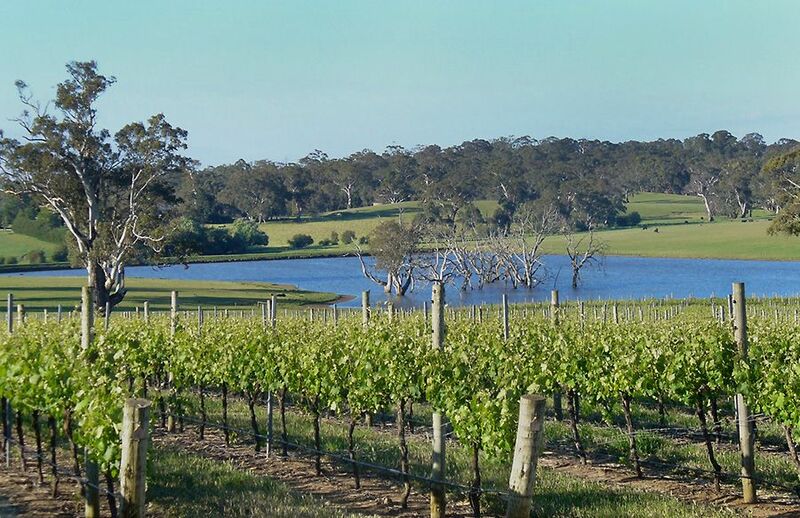 My philosophy has always been to be true to the Adelaide Hills : I want to keep the regionality in my wines. There’s been a huge evolution in Australian cuisine, we are very fortunate to be influenced by so many different types of cuisine, whether it’s from Asia, Italy or France. The restaurants and the talented chefs coming through are quite incredible, different dishes with extraordinary flavours. I’m trying to make wines that are food friendly, I don’t extract too much, don’t used to much oak and the result is gentler subtle wines to pair with the extraordinary food that’s happening. I often work with Africola’s Duncan Welgemoed, he’s supported our wines for a long time. 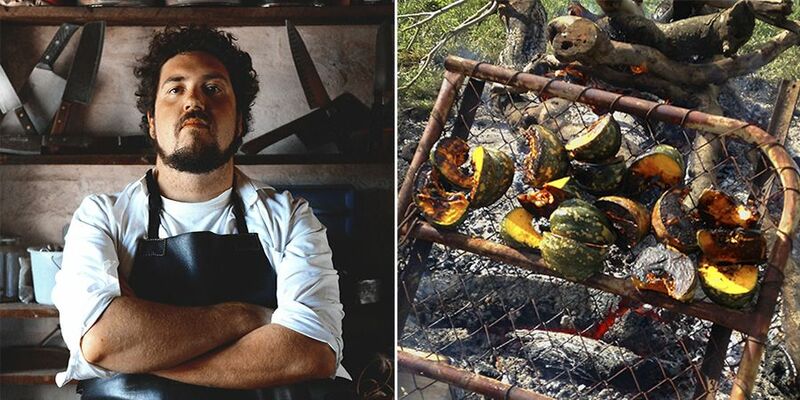 Africola’s Duncan Welgemoed’s and his roasted veggies, at the ‘Winter Reds’ event. 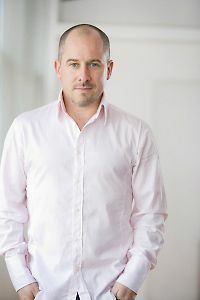 Duncan’s portrait © Andy Nowell. Recently at the ‘Winter Reds’ he was up and did a beef Bourgogne stew, fired it up in big pots over the fire just out side the shed, roasted veggies and some local baguettes. Nice hearty winter dish, it worked really well. There were quite a few hundred people here. I think we did over 300 dishes in about an hour and a half. If it was my very last supper, I would start with a bottle of white burgundy such as Domaine Raveneau from Chablis and finish with an old Barolo from the likes of Giacomo Conterno or Giuseppe Mascarello….with some stinky french cheese and some Italian sausage…then finish with a simple pasta dish with white truffle. That would be my last supper down pat. I love Italian food. Locally I love to go Andre’s, it’s noisy but that’s Italian. I just go and ask Andre to feed me. His food is great, very hearty, warming and delicious. Any business advice to young people thinking about a career in wine ? My key advice would be to understand how important it is to get a global understanding of the wine industry. To broaden your knowledge and taste you must travel and have a look at the other wine regions. It’s part of the beauty of the industry, meeting different people. Try to do a vintage overseas, don’t come back and copy, just try and understand why they are doing things the way they do. Learn about the region and how they’re expressing it. It’s all about exploring, there’s always something new to learn in this industry. You can’t stop trying to improve and experiment. Learn from the others you work with. I learned a lot at Shaw and Smith, they always had a philosophy of trying to do four varieties really well. I remember being at a riesling tasting. It was a benchmark tasting, Geoffrey Grossett was there. The Shaw and Smith wine didn’t stand up. Next week they ripped out those riesling vines. My winemaking has definitely changed in the last four years. We are still trying to work out what might work best for us. I keep a much closer watch on the ferments, I’m using a lot more spontaneous wild ferments. Lots of people have, but I think most drastically, it was Luca Currado from Vietti in Italy, Adam Wadewitz and Taras Ochota locally. Luca for his attention to detail and expression of single vineyard sight from Barolo as a major contributor to my ideals, while Tara Ochota and Adam Wadewitz as two younger generation winemakers who push the winemaking styles in Australian wine. Adam when I did vintage at Bests in 2011, the drastically different winemaking approach he had influenced what I am doing here now. Also working with Taras at Ochota Barrels definitely introduced me to techniques and ideas that were definitely left of centre. Both of those guys have influenced me to evolve to where I am. Both interesting characters, both at different extremes. 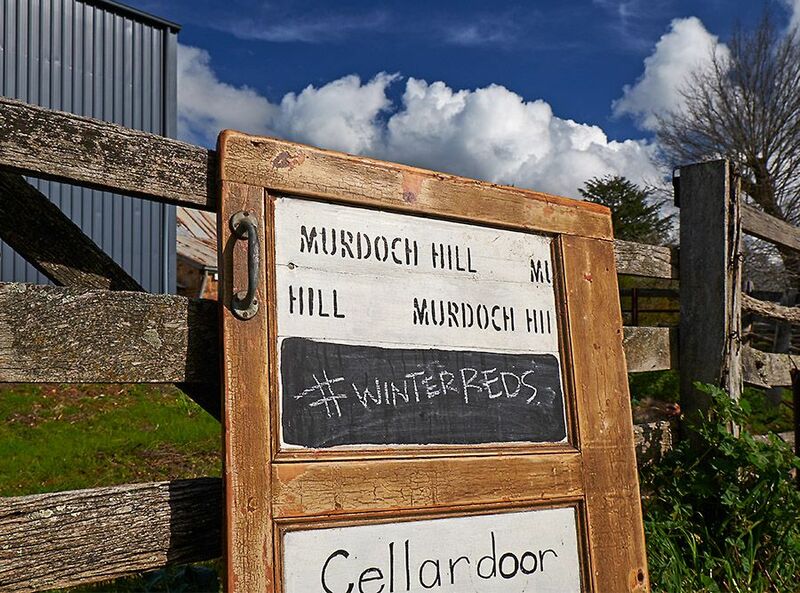 How do you see the future of wine in Australia ? I think where we are now as an industry is one of the best positions we been in for the past 10 or 15 years. I think people are starting to look at more regionality in their wines, a bit more purist thinking about vineyard sites, I think people have gone away from the mass producers high-volume low price points, generally increasing the value of the product. 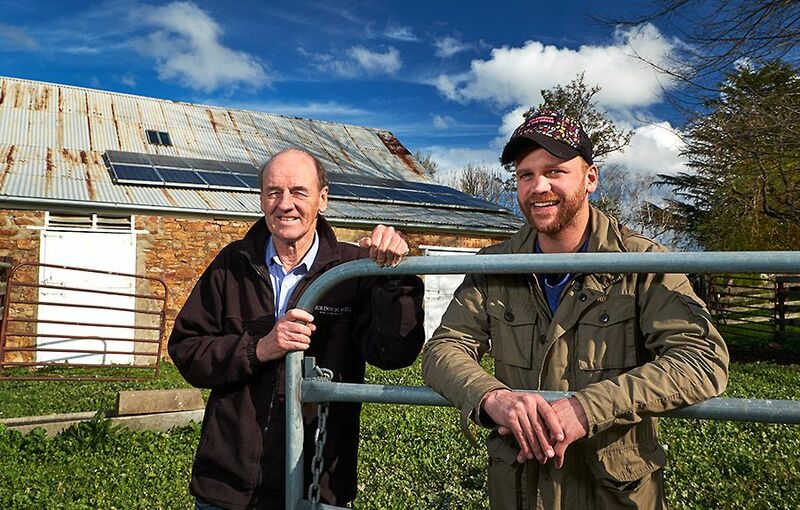 In the last three years , what’s happening in with the younger generation of producers coming through has been a bit of a buzz globally, which I find very exciting. I think what’s happening is really promising. I think we still have a long way to go in terms of viticulture and winemaking. You can talk about alternative varieties, who knows where will be in 50 years time, what varieties are going to suit, where global warming is going. There’s a huge amount of unknowns. As an industry we need to adapt and evolve if we are going to continue to produce quality wine. The scariest thing for me is water. I’d be buying water allocations if I could. Last year was the first year our dam didn’t fill up. We were struggling for water. But it taught me how I can manage the vineyard using significantly less water. I used half of what we normally use. Luckily we were blessed with some light January and early February rains which got us through. We are definitely getting warmer conditions and more summer rain. We are picking two or three weeks earlier than before. The summer rain brings in disease pressure, we’re looking at ways to set up the vineyard that will better suit that, I’ll start a serious evolution to a more organic and biodynamic approach.